At Acuity, we are committed to providing you with a more comprehensive level of continuous eye care and this includes working with other health professionals to support you in achieving excellent vision and maintaining good eye health. We believe that understanding how you use your eyes in everyday life is key to delivering a highly personalised vision solution. 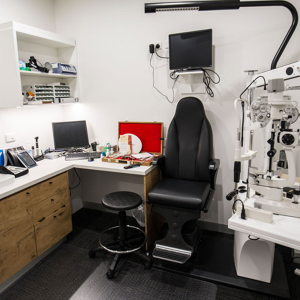 Our thorough 360 degree eye consultation allows us to discuss and evaluate your eye health and eyewear needs so that we can tailor an eye care plan to your lifestyle. What can you expect from your extensive eye consultation? We discuss your general health, eye health, lifestyle and vision needs. Lenses are not created equal and we embrace the latest lens technology to expertly deliver you the best vision possible. Whilst we love frames too, we believe that the lenses you see through are infinitely more important so we will discuss the best eyewear solutions specific to your work, sporting activities and hobbies. Where required, we can arrange for medications to treat eye conditions or refer you for more specialised medical treatment. We test the sharpness of your vision at multiple distances to identify your need for, or any changes in eyewear to correct your vision. This is then translated into your exact eyewear prescription. Here we assess how well your eyes work together as a team. Misalignment can be responsible for double vision, fatigue and headaches as well as problems learning. To finish we combine all these elements of our 360° comprehensive consultation to provide your personalised eyecare solution and future eyecare plan. We prescribe quality eyewear tailored to your lifestyle and explain the benefits. and more regularly if you are diabetic or wear contact lenses.